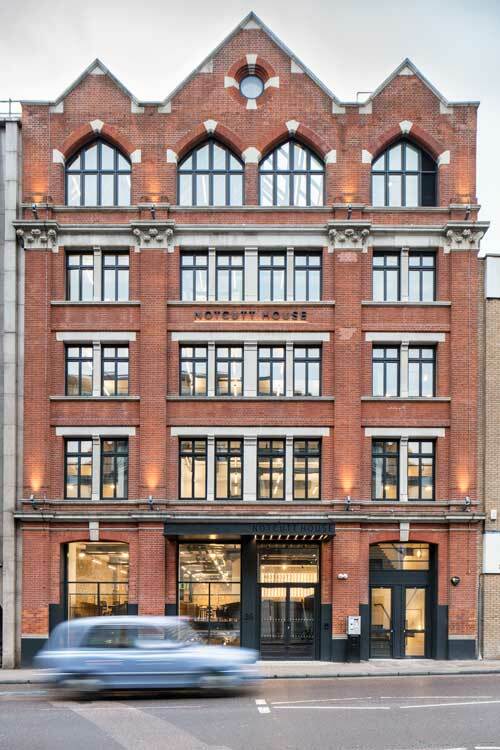 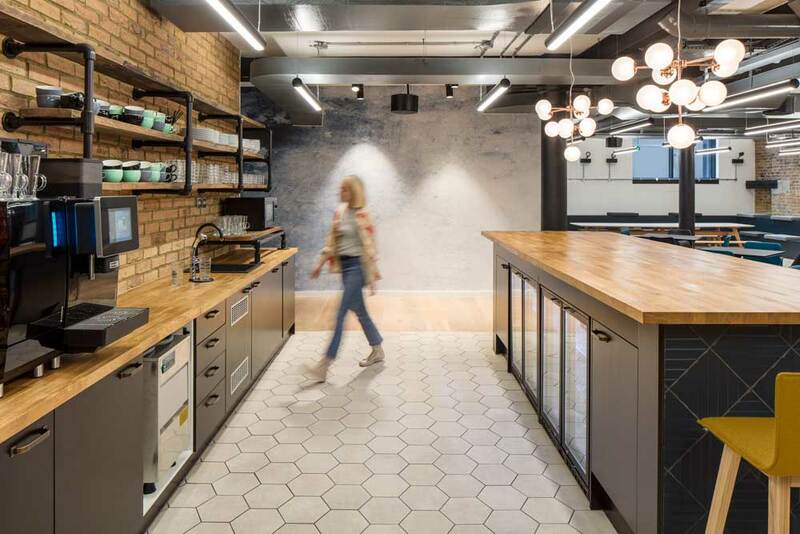 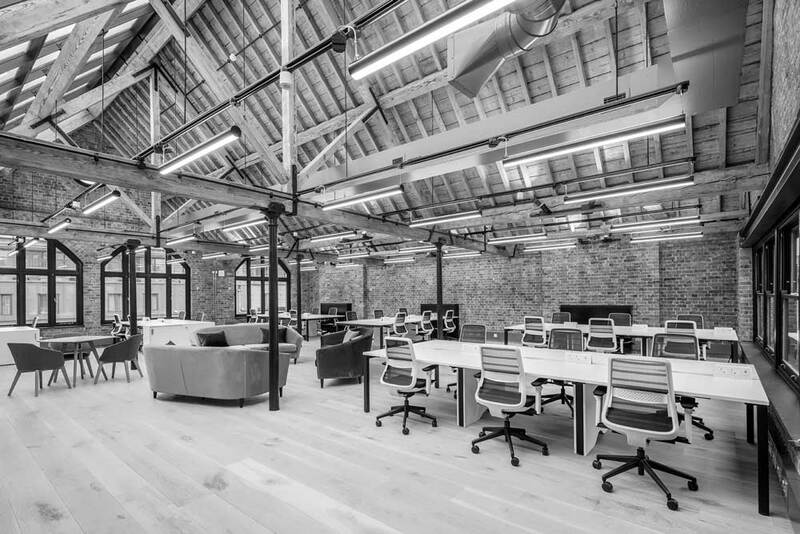 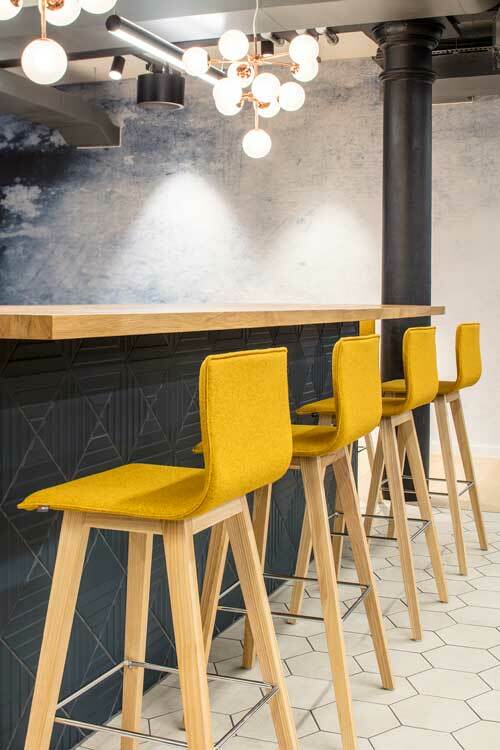 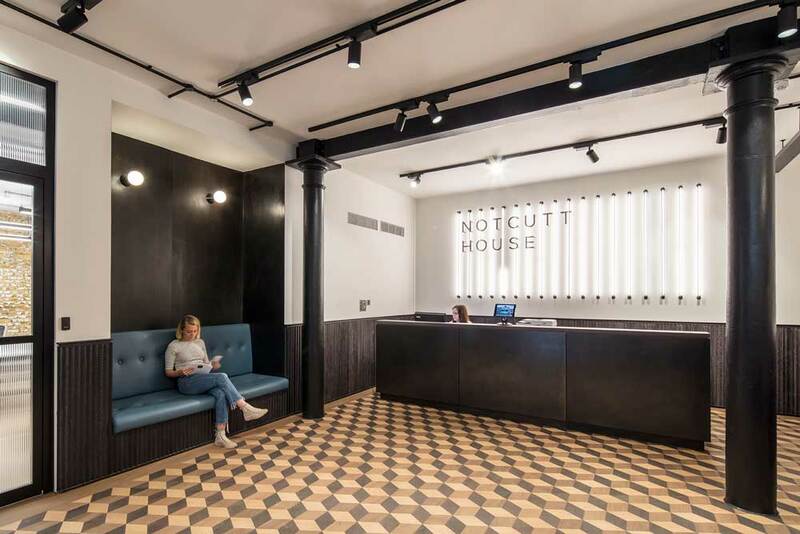 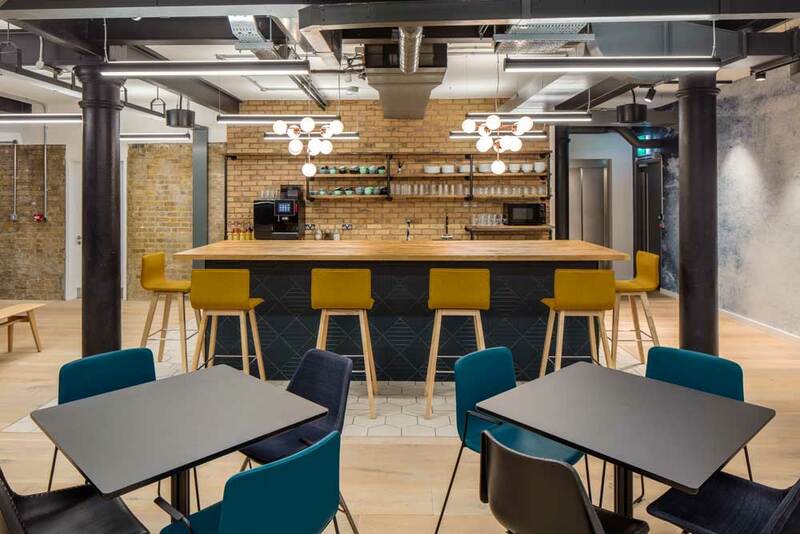 Located at 36 Southwark Bridge Road is The Boutique Workplace Company’s new Notcutt House Office. 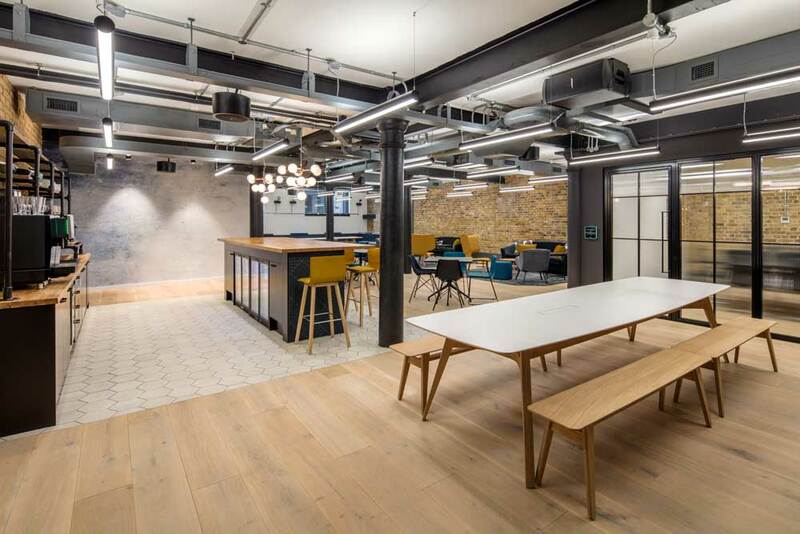 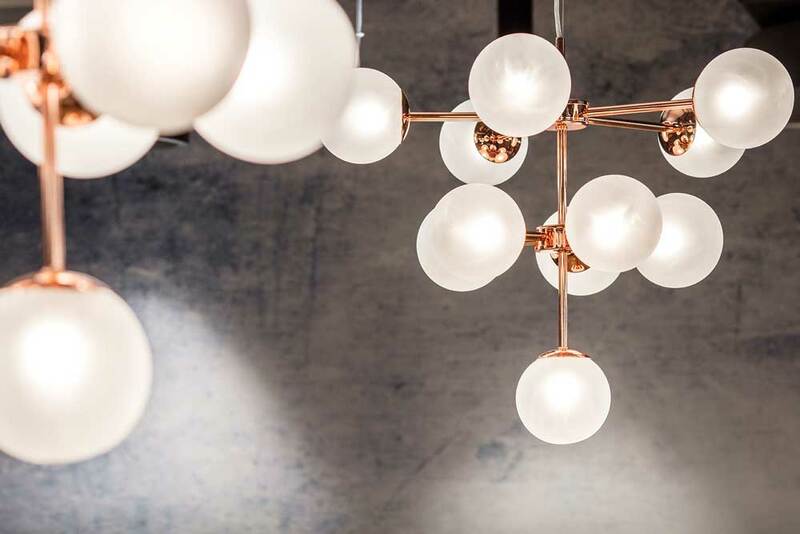 This unique on trend warehouse includes a new reception, meeting rooms and signature event space to the lower ground floor. 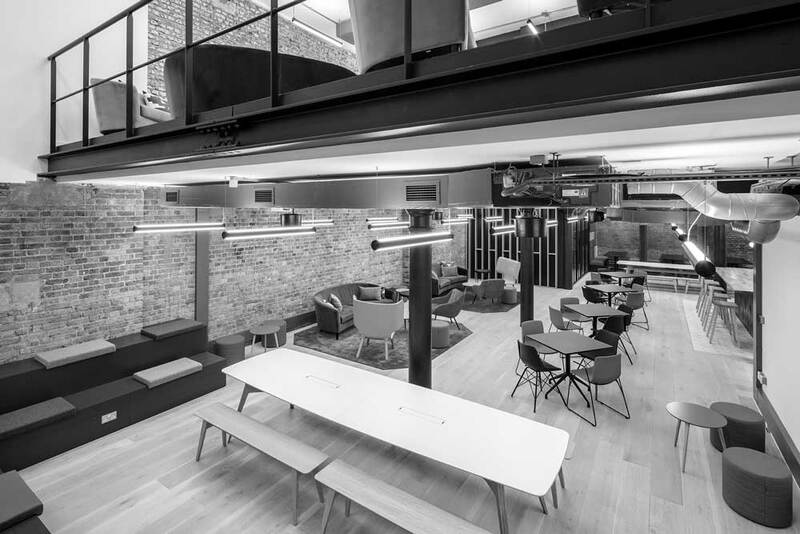 To the front of the building is a double height void connecting both the ground and lower ground floor breakout spaces. 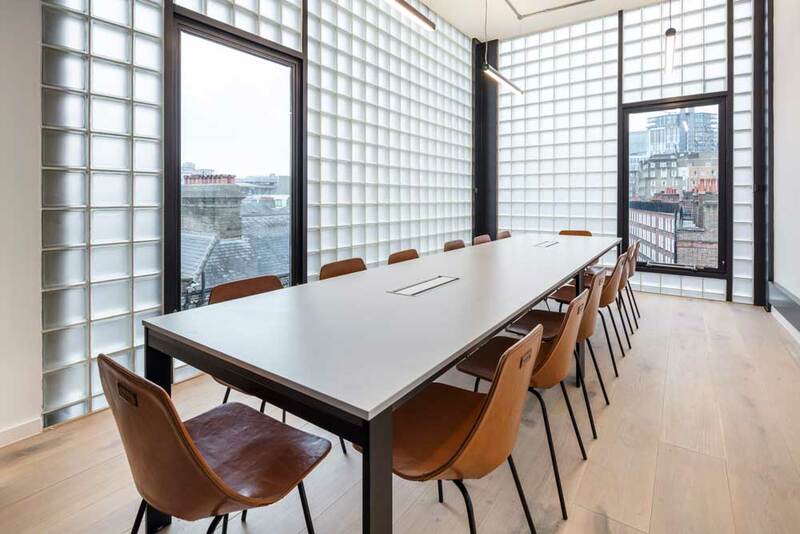 The upper floors have been fitted out as high end office accommodation with meeting rooms that benefit fully from the natural light passing through the glass block walls. 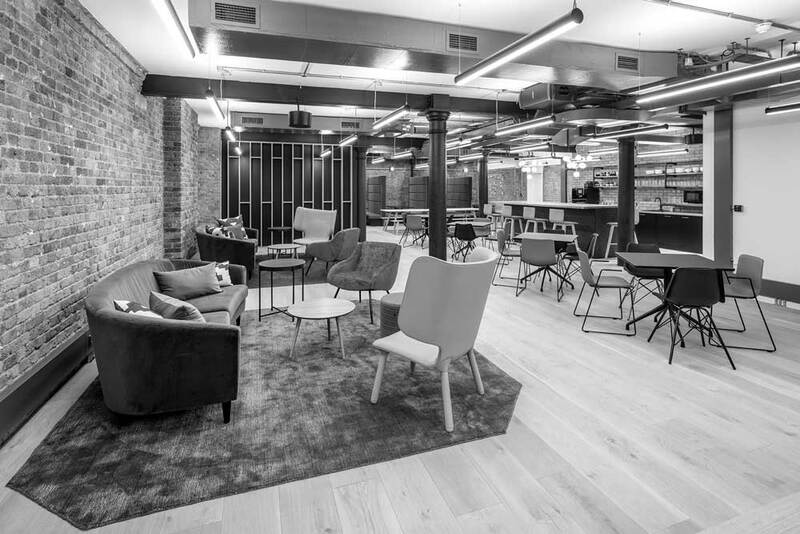 The lower ground floor is a mix of informal and formal meeting spaces, bar area, breakout and lounge area. 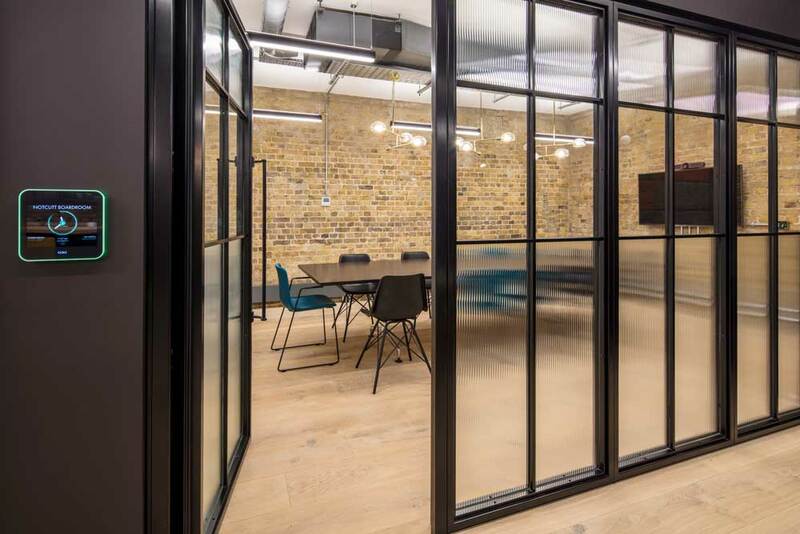 The feature crittal glazing in reception has been continued throughout and the colour palette threads the various design elements over the floors together.